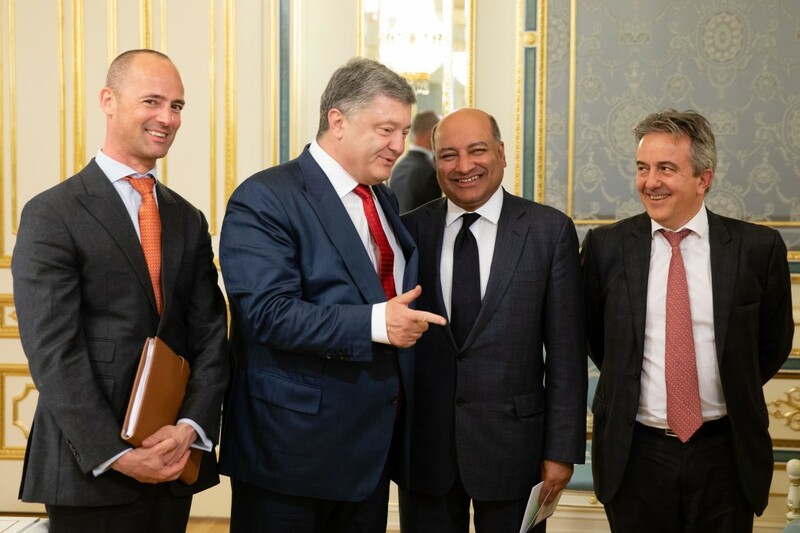 Ukrainian President Petro Poroshenko met Suma Chakrabarti, the President of the European Bank for Reconstruction and Development (EBRD) on May 24. At the meeting, they discussed the reforms of the banking, energy and energy efficiency sectors in Ukraine and also the financing of the projects as the press service of Ukraine's President reported. 'We have a great history of cooperation between Ukraine and the EU. Today, the Beskyd tunnel was opened - the largest infrastructure project in Ukraine, implemented with the help of international partners, including the EBRD. I am sure that every year we can jointly implement a number of major projects in different spheres', the President of Ukraine emphasized. Also, the sides emphasized that the National Investment Council appointed for May 25 should become the key event for the presentation of the results of the reforms to the foreign investors and attraction of the new investments. At the same time, Suma Chakrabarti noted that the EBRD will continue to support Ukraine on the ways of the economic structure reforming. As we reported Beskydy Tunnel was opened in Ukraine on May 24. It became the part of the transport corridor Trieste – Lviv connecting the EU and Ukraine.